As we pack our bags for this week’s trip, I can’t help but think back to the first time Spencer visited me in California. We didn’t document the beautiful beaches, visiting his sister, wandering through the fake danish village/tourist trap, or hiking through a rock maze, but we did get pictures of the moment my siblings decided that he was cool. 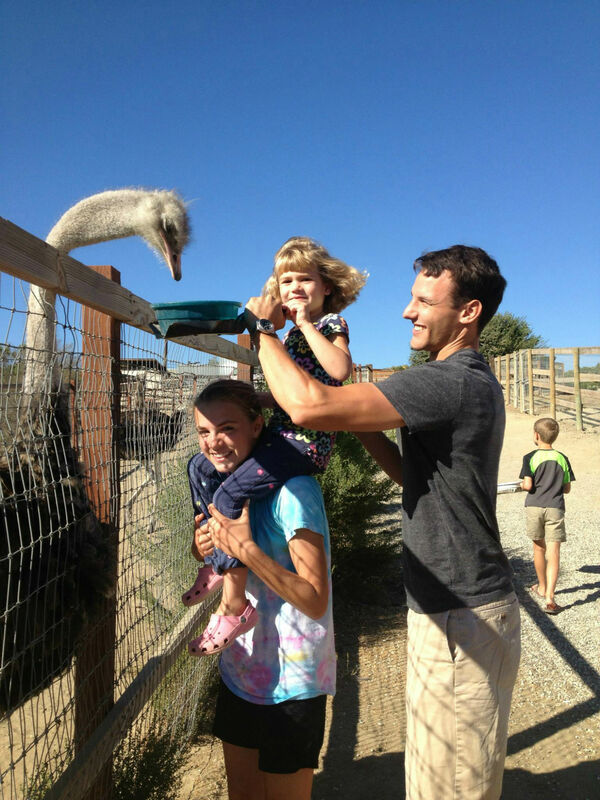 This was also the moment, I decided that I no longer wanted to ride an ostrich. Thank you Swiss Family Robinson for making that sound so easy. 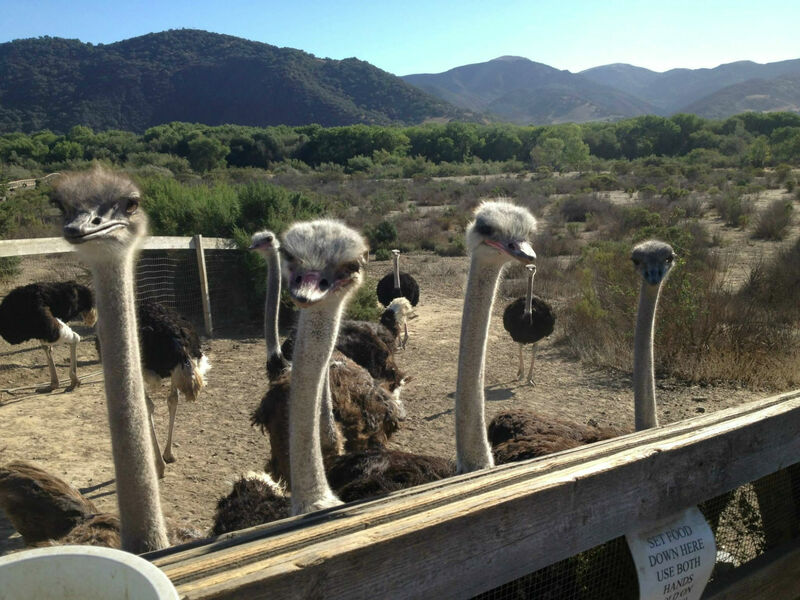 Turns out, ostriches are vicious. Look at those menacing eyes. The only animals that can one up them in hammering their heads toward food are Emus. 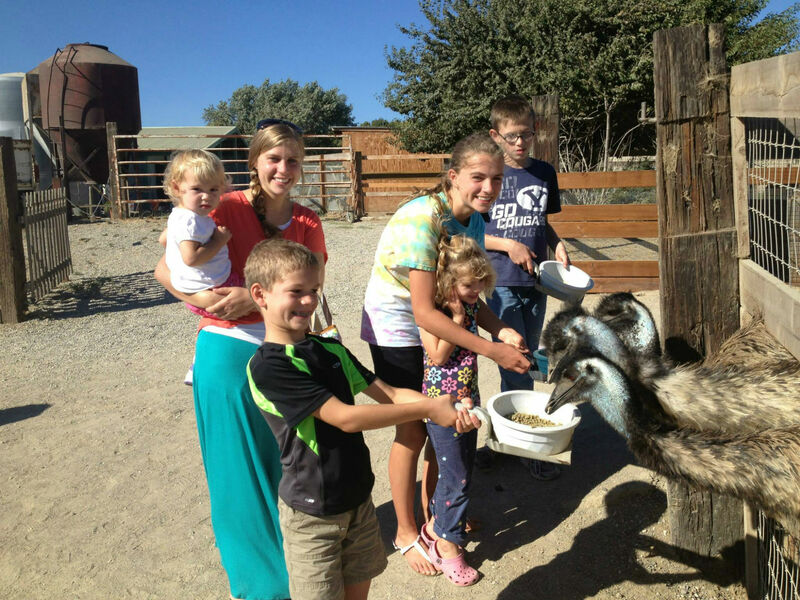 The cousins and roommates vetted Spencer in an extensive process, for my siblings it was easy. They’re funny animals, aren’t they Sylvia! Ah I also nominated you for a Liebster award thing, it’s mostly (from what I can see) a questionnaire program to promote each other :P. My questions are here; let me know if you decide to participate (but no worries if you don’t… it takes a while to fill out). Sylvia, sorry to take so long to respond. I had a crazy week and am just catching up on the blog. I’m honored that you would nominate me for the Liebster award, but I’m going to have to hold off for now. I’d love to collaborate with you in another way though. Also, are you redoing your blog? I tried to visit and there is a message about “custom domain mapping”? This looks like a fun time! Great photos! Thanks Mel! Good luck moving! 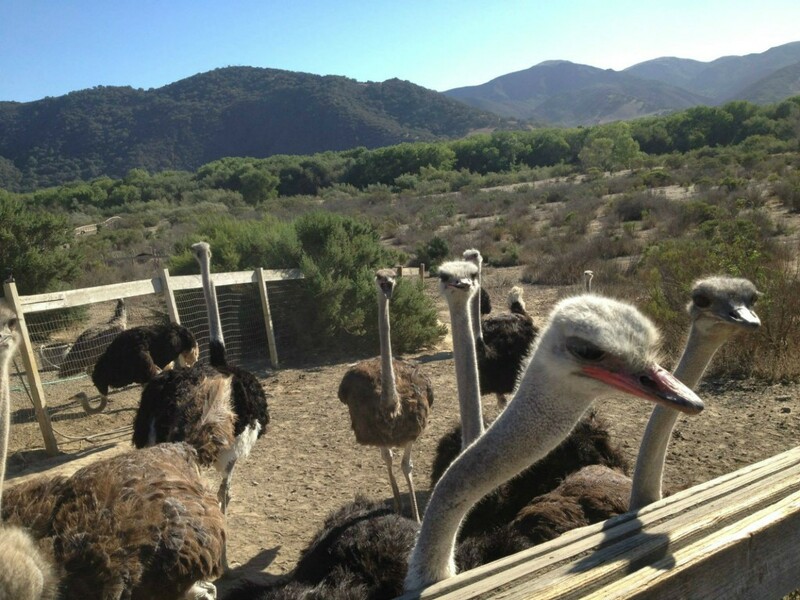 That’s so cool that you’ve also been to an ostrich farm, Vany. It’s definitely a unique experience:) Thank you so much for nominating me for the Liebster Award! I’m going to have to pass for now, but you are so thoughtful to nominate me! I’d love to do a collaboration with you in the future! Thanks Jessica, it really was fun! Rena, I have 7 siblings, but they weren’t all in the picture. Crazy, isn’t it? As a child I was never bored because someone was always doing something!